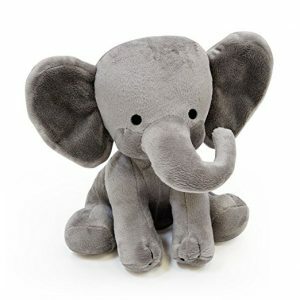 Bedtime Originals Choo Choo Express Plush Elephant Deal On Amazon! This is such an adorable plush to grab for a present to take to the hospital or someone for a bay shower gift. Its a wonderful neutral present for anyone! For a gift they will never forget! Wow such a good deal ty so much from one mama to another, can u please keep an eye out for thomas and friends toys. My son is a superfan but they are so expensive! Ty so much great blog! This is so cute, and a great deal.